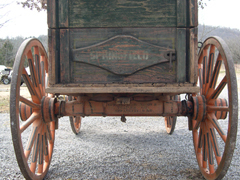 Showing signs of wear on the box and gear, this vintage Springfield brand wagon is still solid and usable. 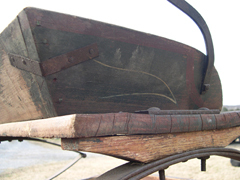 Traces of paint, pin striping, and logo signage are visible and original hardware is intact. 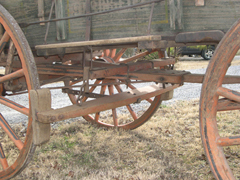 At some point, the wheel felloes and wheel paint have had some professional restoration work done. 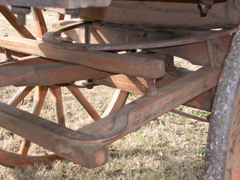 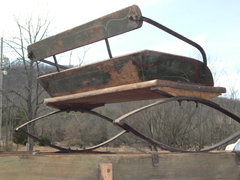 The box measures a traditional 10'6" in length and the wheels top out at 48" on the rear and 40" up front. 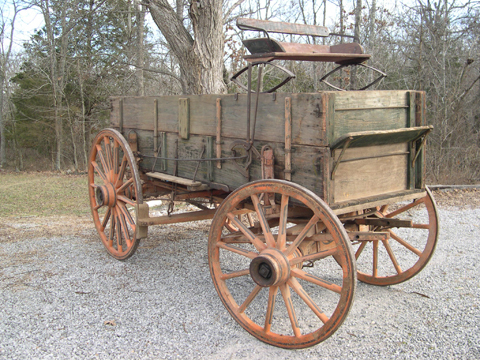 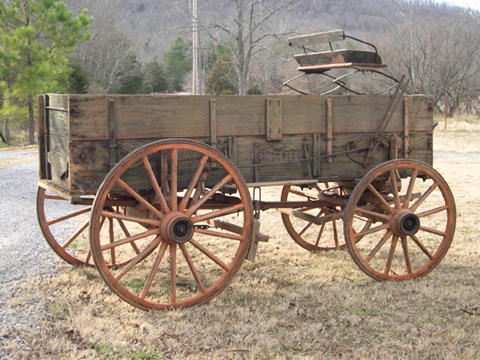 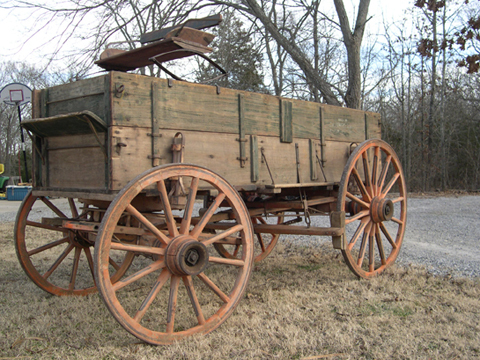 Combined with an original lazy back seat, brakes, footboard, folding endgate and tongue, this farm wagon is a sound addition to the "Classic Collection."